July was a busy month so I am a couple of weeks behind in finishing my July page. I finally finished it today! This month’s page has great meaning to me. It symbolizes the birth of my authentic self. She is peeking out from her protective cocoon/bud. The spirals surrounding her birth symbolize the cyclical nature of life and how we come back to a certain place or life lesson along our journey. Instead of being at the same exact place, however, we have moved up a turn in the spiral and, hopefully, have grown in our experience. The spirals are all shades, tints and tones of purple. Purple is for the wisdom and magic I seek in my life everyday. 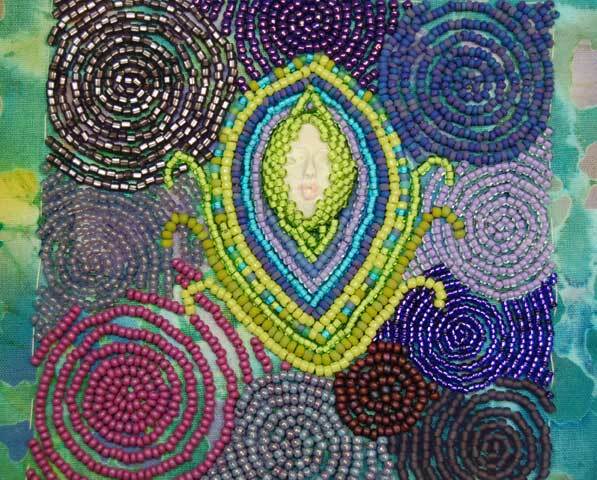 This entry was posted in Beaded Journal Project, Beads, Inspiration, Journaling. This is nifty stuff — both your commentary and your page! A beautiful page. I love the face peeking out of the cocoon. There is a wonderful energy spinning among the spirals. Thank you for sharing what the page means to you. This is beautiful plus It looks like it must have been a lot of fun. This is a most excellent piece. The story behind it gives it all that much more impact. Karen, your journal page is gorgeous. I love spirals, and find myself incorporating them into all my work, whether it’s polymer clay, wirework, beading, or doodling ! Thanks also for sharing the story behind the spirals.. I can’t wait to see your August page ! 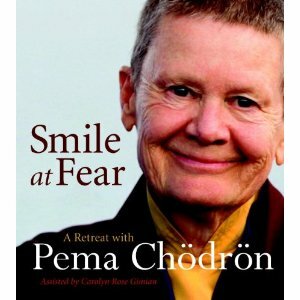 There is a joy and exuberance that jumps right off this page and smacks you right in the smile – wonderful! I love the idea of your piece and the spirals are beautiful. I love her little face peeking out like that! You created a beautiful page, love the colors.